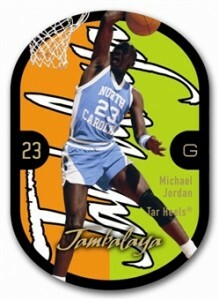 1:3 packs; Featuring 33 rookies from 2011-12 on the 1990-91 Rookie Sensation design. 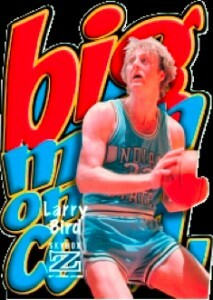 2011-12 Fleer Retro Basketball is a throwback to the sport's glory days in the hobby. The names SkyBox, Metal Universe and Flair Showcase are bound to get collectors from all sports excited. But it's the return of Noyz Boyz, Precious Metal Gems and Intimidation Nation that are going to make basketball card collectors nostalgic for the days when Michael Jordan was king, Kobe was a teenager and LeBron James was a kid. A mash-up of several sets from a different era, ten-pack boxes promise three autographs and two inserts. 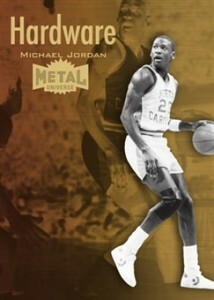 Looking for details on 2011-12 Fleer Retro Basketball Michael Jordan cards? Check out our guide. 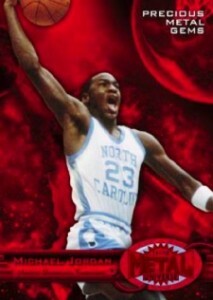 The 83-card base set includes 50 regular cards and 33 Rookie Sensations. As an NCAA product, all players are featured in their college uniforms. Complete hobby boxes come with 20 packs. These are divided into two ten-pack inner boxes. Every inner box has a total of three autographs. 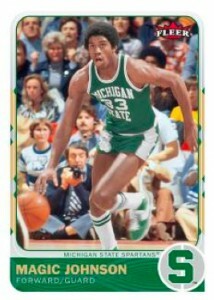 A lot of the fun with 2011-12 Fleer Retro Basketball comes from mix of sets and styles found in the inserts. They reach all the way back to 1961-62 Fleer and reach more recent inserts like Jambalaya and Autographics. 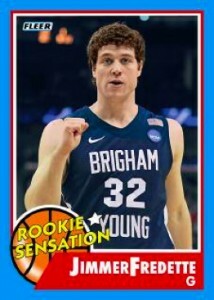 The 83-card 2011-12 Fleer Retro base set consists of 50 regular cards and 33 Rookie Sensations. Each full box has two ten-pack mini boxes. Each mini box comes with three autographs and two inserts. Autographics recreates popular designs from the set's run from 1996 through 2000. Autographs fall six per box (three per mini box). Precious Metal Gems come in three versions: Red (#/150), Blue (#/50) and Green (/10). What is up with this set? Is it ever going to be released. I can’t seem to find anymore information on it. David (ID 42490) � Just got an update today that it’s current release date is now July 31. ….says the guy standing in front of a huge Panini banner.